In a packed ballroom next to Barcelona’s Olympic stadium, Sony kicked off Mobile World Congress with two new Android phones, the Xperia P and the Xperia U. At CES 2012, Sony Ericsson rebranded itself under the Sony brand. 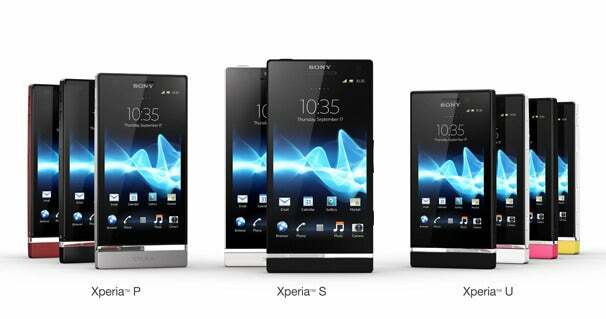 The new line of phones under the Sony brand is are called Xperia NXT. We saw the first Xperia NXT phone, the Xperia S, at CES. Getting close to both phones was nearly impossible in the maximum capacity press conference, but from what I could see, both Xperia phones are incredibly good-looking and have sharp, bright displays. The big selling point for both is access to the Sony Entertainment Network, which is shared across multiple Sony devices including the PS Vita and the PlayStation 3. The Xperia P has an aluminum unibody design with a see-through bar that wraps around the bottom of it. 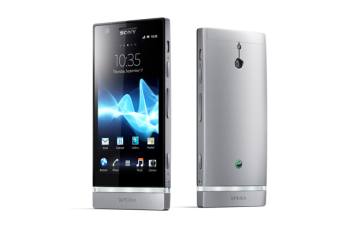 The Xperia P, with its 4-inch display, is the first phone to feature Sony’s “White Magic” display technology. The P’s display automatically adjusts depending on the lighting, natural or artificial, saving your phone’s battery. According to Sony, it also does well in bright sunlight. The Xperia P also has a Sony Fast Capture 8-mp camera, which means you can activate the camera when the phone is locked. It lets you capture video in full HD. It also has HDMI connectivity so you can hook it up to your TV and navigate with your TV remote. The Xperia P, like the Xperia S, will also support NFC. The phone is currently running Android Gingerbread, though Sony says the P will be upgraded to Ice Cream Sandwich later on. The Xperia P will be available in three colors and will start rolling out to stores in Q2 of 2012. Like the Xperia P, the Xperia U also has a transparent bar that wraps around the diameter of the phone. But this phone lights up: The bar will illuminate with different colors depending on your wallpaper. It will also change color as you bring up photos in your gallery. The Xperia U is slightly more compact (and will probably be offered at a lower price) with a 3.5-inch display. It also has a 5-megapixel camera. The Xperia U will come carriers globally and will also ship in the middle of Q2 in 2012.